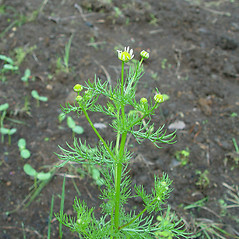 Wild chamomile is also known as German chamomile. Native to Europe and Asia, and adventive in many other parts of the world. 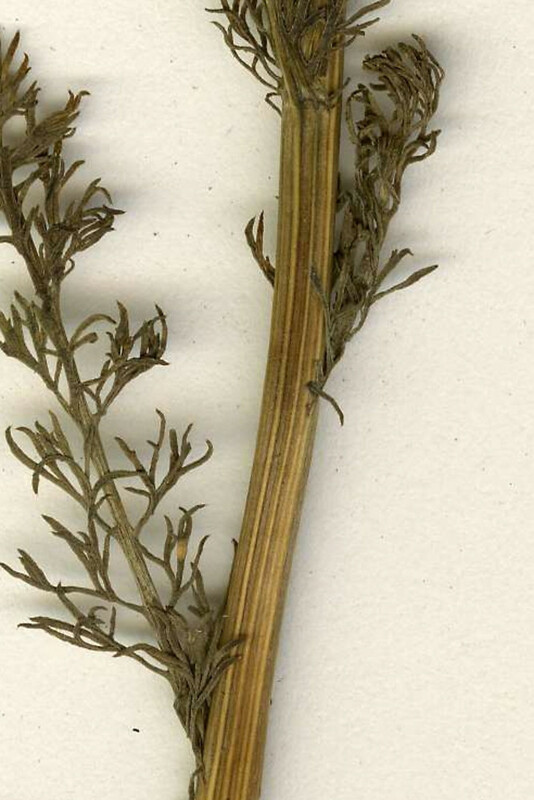 This species is grown commercially worldwide for use as an herbal tea and for pharmaceutical extracts. It has anti-inflammatory, antibacterial, anti-allergic, and sedative properties. 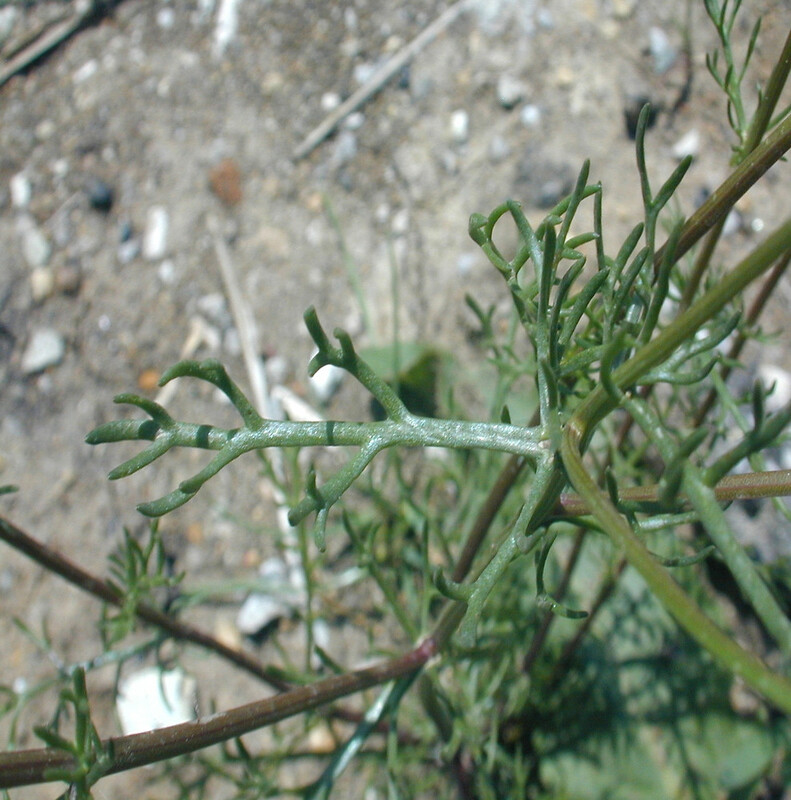 center portion of receptacle of flower head with scales between the flowers and foliage ill-scented (vs. M. chamomilla, with receptacle of flower head lacking scales between the flowers and foliage pleasantly odorous). 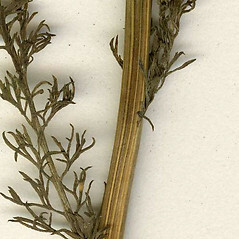 receptacle slightly raised and rounded near the center and foliage relatively unscented (vs. M. chamomilla, with receptacle raised and pointed near the center and foliage pleasantly odorous). 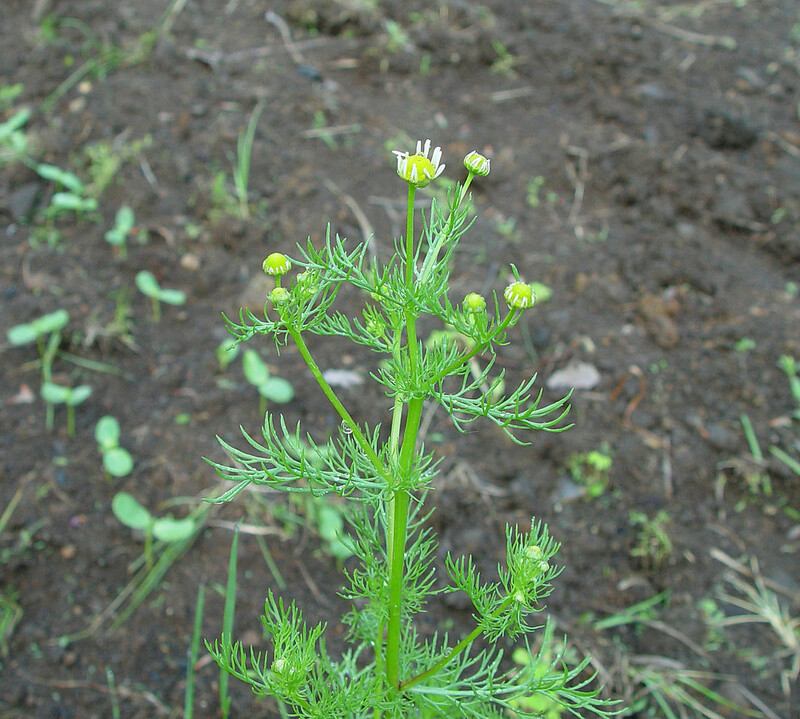 Matricaria chamomilla L. var. coronata J. Gay ex Boiss. 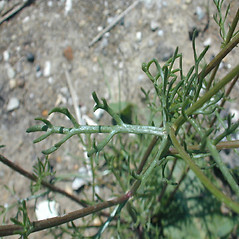 Matricaria chamomilla L. var. chamomilla is known from CT, MA, ME, RI.M. chamomilla var. recutita (L.) Fiori is known from CT, MA, ME. wild chamomile. 1a. Chamomilla chamomilla (L.) Rydb. 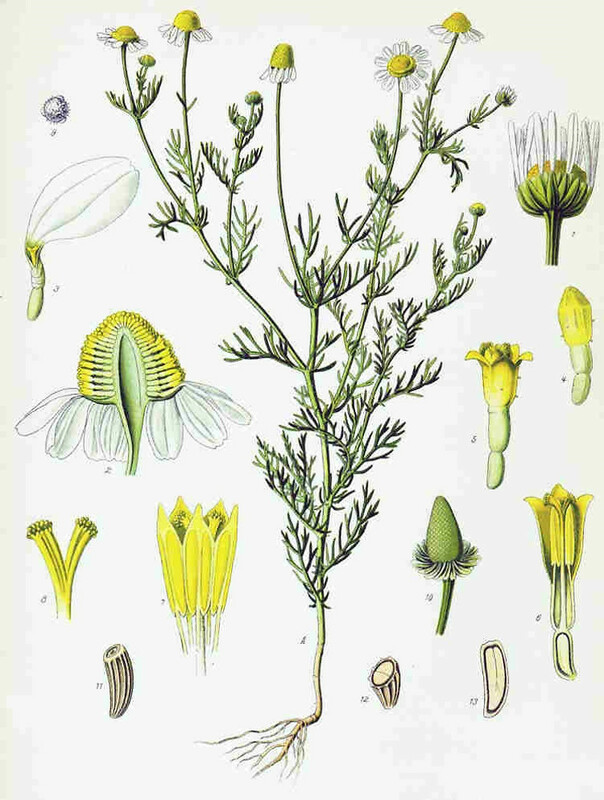 ; Matricaria chamomilla L. var. coronata J. Gay ex Boiss. ; 1b. 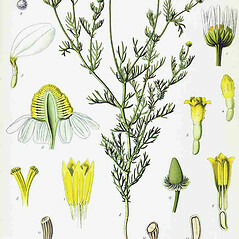 Chamomilla recutita (L.) Rauschert; Matricaria recutita L. • CT, MA, ME, RI. Fields, roadsides, waste areas. Variety chamomilla is known from CT, MA, ME, RI. Variety recutita is known from CT, MA, ME. See Applequist (2002) for nomenclature of this species.